Wouldn’t life be easier if you didn’t have to spend so much time mowing, weeding and watering your lawn? Wouldn’t you be less stressed if you didn’t have to worry about bald spots in the lawn or muddy feet trampling through your house? Premium synthetic grasses can provide you with peace of mind, as well as a beautiful lawn for your residential or commercial property. ForeverLawn West Texas offers a variety of products designed with sports, pets, playgrounds and year-round green in mind. 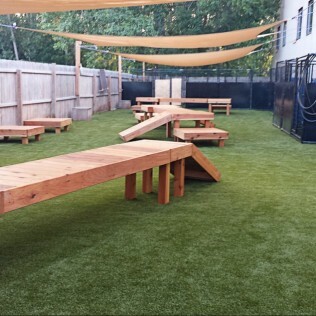 Discover the advantages of synthetic turf by contacting us today. Choose the Grass That Suits Your Needs! Whether it’s scorching heat or sub-freezing chill, your synthetic lawn will stay safe and green year-round. DuPont™ ForeverLawn® Select Synthetic Grass was created through a partnership with DuPont™ and is great for residential and commercial landscaping. K9Grass – This long-lasting turf gives pets a cleaner, safer and better-smelling environment without worrying about brown spots or mud. 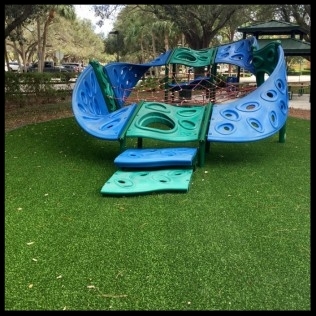 Playground Grass – This long-lasting surface is especially safe for children and can handle the constant pounding of little feet. It’s also IPEMA certified, ASTM 1292 safety-rated and ADA accessible. SportsGrass – This artificial turf offers a long-term solution for baseball, soccer and other sports fields. It lowers maintenance costs while offering a durable feel and a natural look. 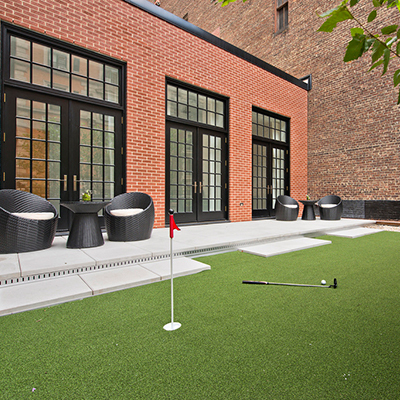 GolfGreens – This artificial putting green surface can be used at home or on the golf course. SplashGrass – This drainable synthetic grass is great as an alternative to concrete or pool decks at home or in water play areas. 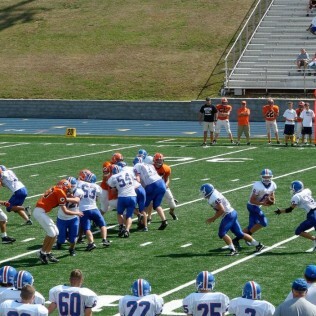 No project is too big, or too small. ForeverLawn West Texas has synthetic grass options to suit them all! Don't feel like paying by cash or check? NO PROBLEM. Please click on "Apply Here" to finance your new turf! Matt and Reta Adkins understand that maintaining a lush, beautiful lawn takes time and money. This is especially true in drought-stricken counties throughout The Big Country. 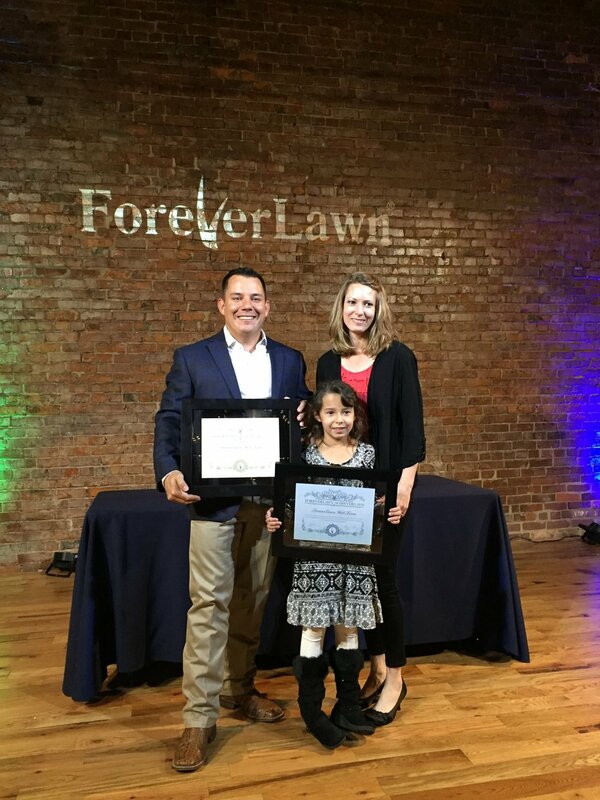 As the owners of ForeverLawn West Texas and natives of Sweetwater, Texas, Matt and Reta are proud to provide the highest quality and most realistic-looking synthetic grass in today’s market. 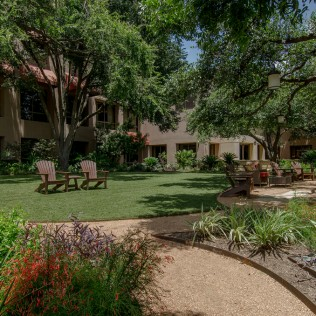 ForeverLawn West Texas’ combination of leading-edge products, trained and certified installers and outstanding customer service means you have a team of dedicated professionals standing by to solve your residential and commercial landscaping needs. For over 10 years, Reta and Matt have been learning the business of synthetic grass. Reta worked in the ForeverLawn corporate office and Matt became an expert by traveling the country to consult and train other businesses in the care and installation of the ForeverLawn turf. Reta and Matt have fun and innovative ideas, products, and applications to bring to the area. After opening their own ForeverLawn dealership, Reta and Matt have firmly planted roots in West Texas and enjoy bringing their expertise to their Abilene neighbors. Call 325-480-1593 to learn more about the products offered by ForeverLawn West Texas.